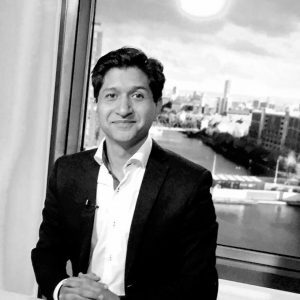 Yasir Abbasi is a Consultant Psychiatrist and the Clinical Director for Addiction Services at Mersey Care NHS Foundation Trust and an Honorary Senior Lecturer at the University of Liverpool. He is recognised by the General Medical Council as a dual specialist in General Adult and Substance Misuse Psychiatry. In 2013 he won the doctor of the year award in Leeds. He has appeared on radio and television programs and also writes for newspapers to increase awareness about various mental health and addiction issues. He has had many publications in peer-reviewed scientific journals and newsletters. He is currently the chair for the North British Association for Addiction Professionals and a founding trustee of PAIN (Pain Killer Addiction Information Network) charity. He is the regional specialty representative for the Royal College of Psychiatrists. In 2017 he was shortlisted for Psychiatry Communicator of the Year award by The Royal College of Psychiatrists as well. He has been examining for the Professional and Linguistic Assessment Board Examination (PLAB) and has also been appointed as an examiner for the Membership of the Royal College of Psychiatrists (MRCPsych) examination.